Kickstarter Update & Live Video of "The Lady"
For those of you following along at home, our Kickstarter campaign is moving along nicely. Kickstarter.com is a web site that allows artists to fund projects by connecting with their fans directly. In our case, fans can get our music before anyone else, pickup limited edition vinyl and USB drives along with a host of other cool packages like a camping trip in our RV or a live performance at your house. Some people have been so generous that they simply pledged money and opted out of receiving the merchandise all together! We've already raised over $7,500 of our $10,000 goal which is amazing, but we only have 18 days left to go. The funding period ends on DECEMBER 1st. This is a hard deadline. If we don't reach $10,000 by this point all of the money is returned to those who pledged and the album doesn't get made. We posted a live video of "The Lady" from Ralph's Diner in Worcester, MA. It's only available on our Kickstarter page, so you have to CLICK HERE TO WATCH IT. If you want to see what this whole kickstarter fundraiser is all about, take a minute and watch our video explaining everything below. There's nothing more rewarding than recieving praise for creating something from your heart and sharing it with the world. Pasta Primavera, a Baltimore-based indie music blog gave New Wave Blues high marks. New Wave Blues is a well rounded explosion of an album and The Wandas have just made my new favorites list. It's official, the video for Thank You Note as been released. You can read all about it at thewandas.com/thankyou. Or by clicking on the video section in the navigation. We've been slacking on getting our lyrics on our web site for a while. Today we finally got all of our lyrics up, sorted by album, on thewandas.com. Check out the lyrics section in the navigation. Now you can figure out what Keith has been singing for all of this time. 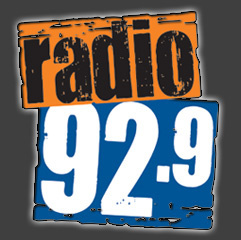 This week, theWANDAS have been chosen as the Radio 92.9 Best of Boston, Pick of The Week. As part of the accolade, we will be giving people the option to download "Trepidation" for free from the Radio 92.9 page on ourstage.com. Thanks for all of our fans who have pushed theWANDAS into the light for people to take notice. We had a great showing in the ourstage.com August 2008 competition. Our song "Trepidation" won 1st place in the indie pop channel. There were about 600 entries in this category and we overwhelmingly took 1st place. Thanks for everyone who judged. We'll probably have more stuff up on ourstage.com soon too. You can download Trepidation from the download music section or you can get it straight from itunes. We got an email yesterday saying that our song "Trepidation" has made it to the quarter finals of the OurStage.com monthly music competition. I actually forgot about the whole thing when I submitted the song, so I never told anyone to go to the site and judge us. Anyway, right now we're ranked #7 out of about 600 entries in the indie/pop category. The way the competition works is that you are presented two songs to listen to and you decide which one you like more; you'll cycle through a bunch of songs, that way the calculation is fair. You can access the competition by clicking the banner below. Looks like we've jumped up to #3 out of 600! We've added a new section to the site called: Download Music. This section features the 3 studio releases we've created over the years. You can download them in the form of high quality unprotected mp3s for whatever price you want. Just click on the album of your choice, choose your price and you'll be redirected to an area to download a .zip file of the album's songs. As you can see we've undergone some changes with our web site. This site should help keep our base informed while maintaining a two way dialogue. Feel free to contribute to our blog by commenting on any of the posts. You can subscribed to the RSS feed to stay on top of all of the latest news.